Working on these blocks from Jaybird Quilts' Toes in the Sand is helping me move on from the winter doldrums. Each block is named for a California beach, and I can only dream about what it would be like to be on one of them right now. 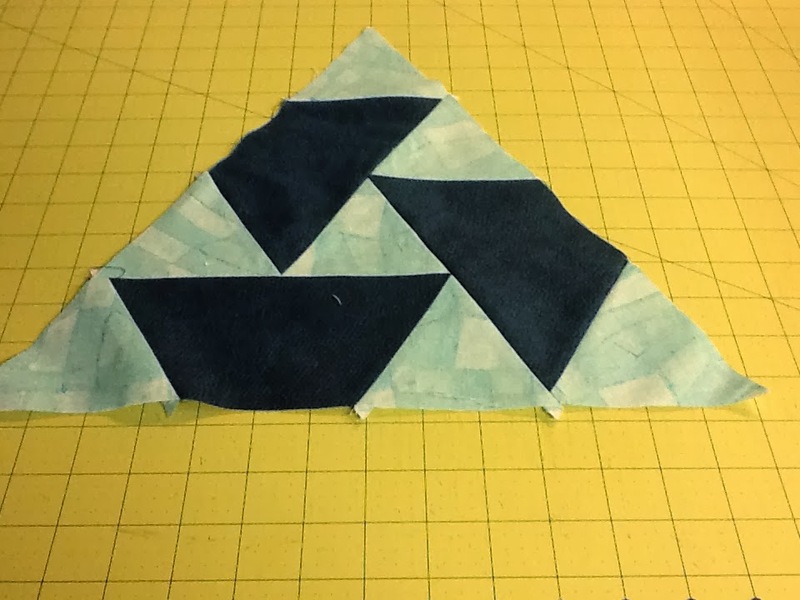 Since the pattern calls for making two of each block, this will be a large quilt. It's intended to be a wedding gift, but more on that later! 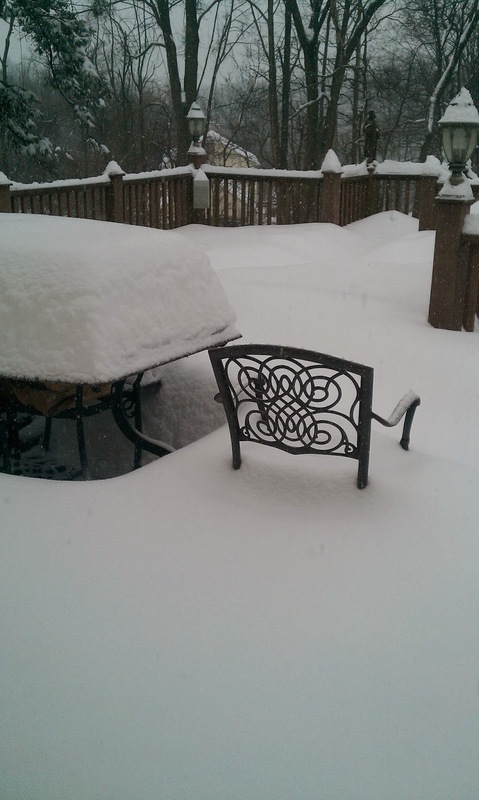 As you can see, we've been up to our chairs in snow this winter. This photo was taken after the great ice storm of '14 when we lost power for 44 hours. Fortunately, we have a gas fireplace that kept us toasty for the duration, but I discovered that I get quite cranky when I've been without coffee for 72 hours. Not much on an inconvenience, really, when we knew people who were without power for five days.